KNIT WIT The owners found a woman on Instagram who crochets cozies for spare tires, and she agreed to make one for the Boler. 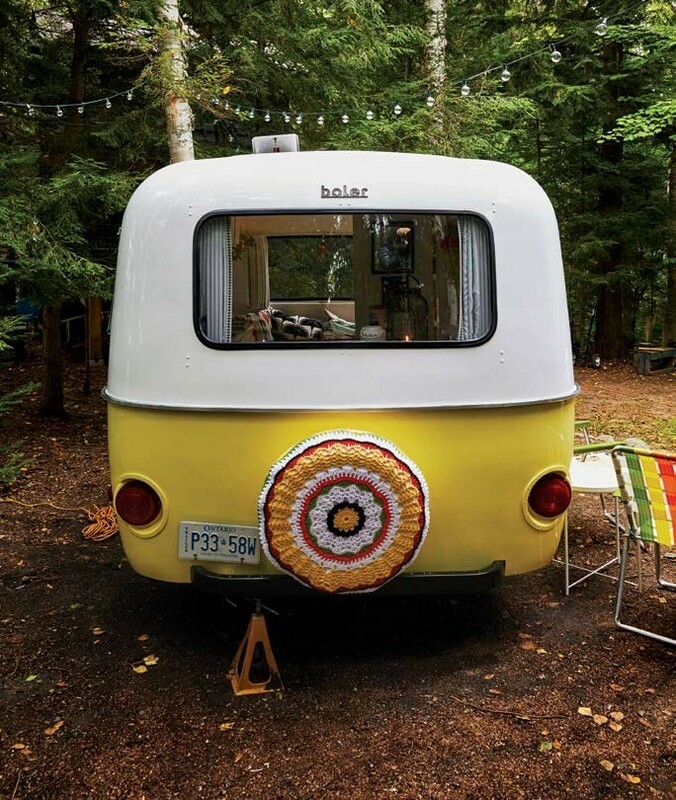 “When my parents took us camping, in the ’70s, we’d watch a family pull up with a Boler, and we’d go, ‘Ooh, those people are fancy,’” says Catherine Doherty. “I’ve wanted one ever since.” The freelance prop stylist searched for one of the discontinued trailers— made in Winnipeg from 1968-88—for years before she found an affordable one. “You’ll pay $10,000 for a restored Boler,” she says. “They sell fast. People use them for mobile coffee shops and such. We got this one for $3,500.” That’s because it needed work—a lot of it. “The owner was about to cut a hole in the bottom and use it as an ice fishing hut,” says Catherine. Her handy husband, a teacher named Bryan Pearce, drove four hours to pick it up, wondering what he was getting himself into. “I was halfway home when I thought, Hey, this thing is kinda neat,” he says. 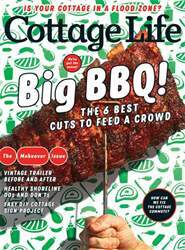 And so, the pair began their labour of love, reviving the old trailer into a beautiful bunkie for their Grass Lake, Ont., cottage—and a mobile mini cabin when they feel like hitting the road.